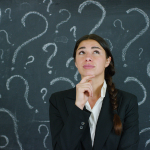 The role of a meeting planner has evolved over the last decade. There are reasons why it continues to make the Top Ten Most Stressful Job list each year: because it has a complex set of skills and responsibilities. 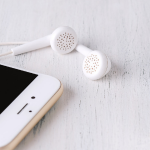 This podcast is for those in the business events industry. Whether you are planning a meeting, conference, convention or corporate retreat, the base of each business event requires a strong foundation. As a meeting architect, today’s planner is required to be knowledgeable in an ever-evolving industry. Each week we will discuss the challenges, lessons learned, successes and how we build the very best experiences. Episode 13: Victoria Clarke, Executive Director – Discover St John. The nuances of marketing for different events and organizations. Getting above the noise in digital marketing. Using best practices in technology to determine your ROI. On this episode Desmond shares his Top 5 Strategies for How to Avoid Attrition. Tracking your room pick-up and pace. Attrition clauses in your contract. Mitigate attrition when the hotel can re-sell dropped rooms. On this episode Joanne and I discussed how she got started in the industry and where she is today in her leadership role. We also spent some time discussing her experience of hosting international conferences within the not for profit world and how to apply metrics to measure their success. Throughout our conversation Joanne provided valuable suggestions on how best to serve the national and international member’s needs at meetings and conferences from her over 30+ years working in the non for profit sector. Episode 10: Christopher Carpenter – Regional Director of Sales for Canada, Midwest USA and Texas for the Edwardian Hotels London. As a Canadian who’s employer is in London, England – Christopher brings his unique perspective to our listeners by explaining the differences and similarities of working on each side of the ocean. Trained in Switzerland, his love of the hospitality industry emanates as he describes his current role and responsibilities. Episode 9: Erica Stewart, Manager of Events and Development, Canadian Bureau for International Education. As a next gen meeting architect, Erica explains the shift from the word planner to where the new roles and responsibilities are transitioning to. In her recent conferences, she tells us how she has infused more fun and face to face time for her delegates. Episode 8: Aysun Lynch, Business Development Manager – MICE U.S. & International, Banff & Lake Louise Tourism. Our time together explored the origins of the term Meeting Architect. Aysun is considered an early adopter in bringing this term to Western Canada and perhaps even nationally. Determining meeting objectives and measuring the metrics to define what a successful meeting entails is where Aysun places her focus. We touched on the importance of having organizational leaders know the value a meeting architect contributes to the outcomes. Episode 7: Nathalie Brault, Senior Sales Manager, Fairmont Queen Elizabeth. On this episode Brenda is joined by Nathalie Brault, Senior Sales Manager – Fairmont Queen Elizabeth. Some of the unique aspects of the transformations made to the Fairmont Queen Elizabeth. Innovative meeting spaces and ideas on how to use the hotel’s resources for your next event to create a unique experience. The demands on hotels and how to meet the unique needs of those wishing to book their events, meetings or conferences, no matter the size of the group. The need for the human factor in working together in the industry. Episode 6: Karen Norris, CMP, Conference Manager and Meeting Architect for the Canadian Association of General Surgeons. 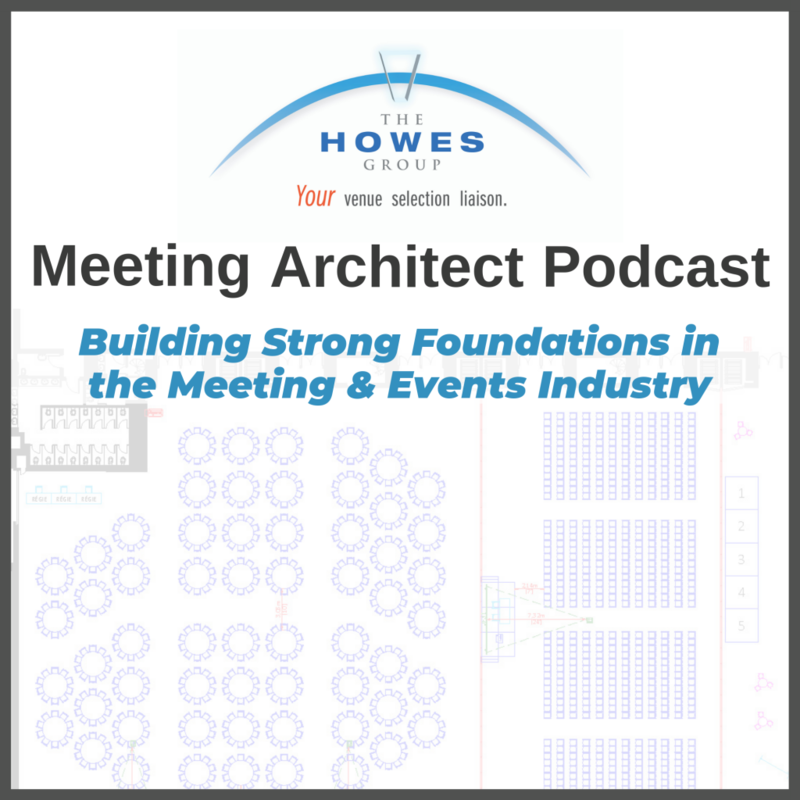 Brenda and Karen discuss the shift from meeting planner to meeting architect and the tremendous change the industry has undergone in the last ten years. On this episode Brenda is joined by Shaddy Shibley, Director of Sales, Westin Ottawa. Shaddy shares how his father inspired his choice of pursuing a career in hospitality and his movement into various spaces of the industry. Shaddy also shares a valuable tool he calls his Rates, Dates and Space formula. On this episode Brenda is joined by Jeanna André-Murdie, Global Sales Director for The Howes Group. 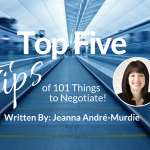 Jeanna shares her strategy for negotiating concessions for her clients and adding value to their programs. Brenda and Jeanna also discuss important current trends in the meeting and conference industry and what he sees coming up in the future. Brenda and Desmond discuss his experience as the Director of Sales and Marketing at one of Ottawa’s leading downtown meeting and business travel hotels and how he applies that experience to now being an advocate for his clients. They also discuss important current trends in the meeting and conference industry and what he sees coming up in the future. Brenda and Ross discuss how Ross got his start in the hospitality industry, the skills he developed along the way and what he sees coming in the future. Rosss also shares great insight on the three stakeholders that makes up the conference partnership and how important it is to have a balance for all parties to equally share returns and contributions.